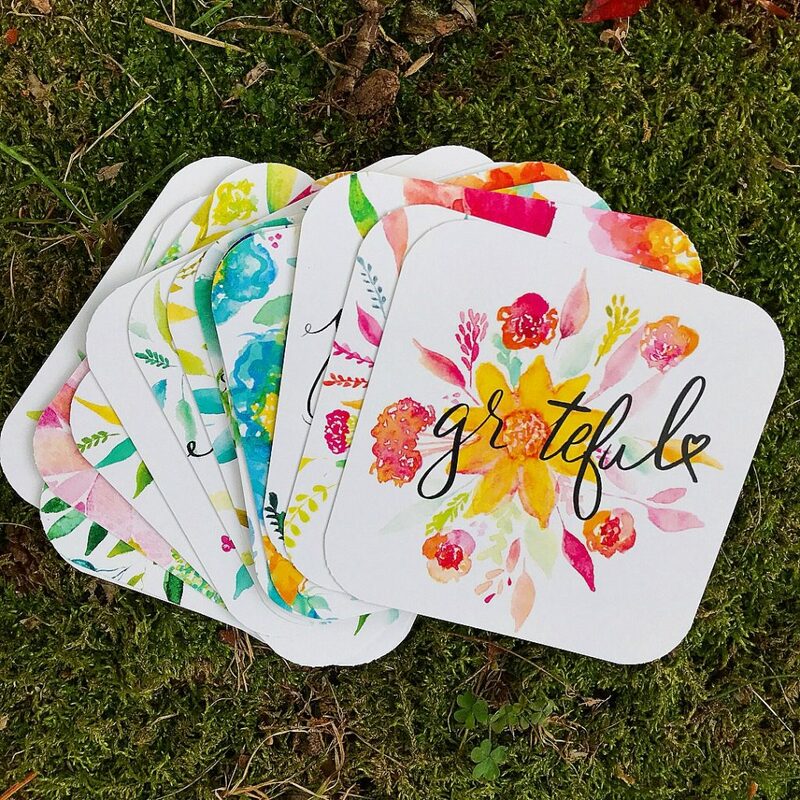 January 8th Update: Winners Announced: I’m so grateful for all of you who stopped by. 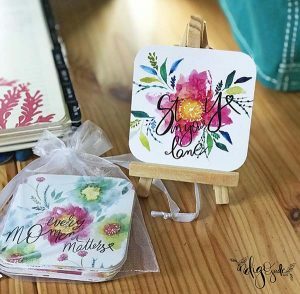 This was an amazing blog hop and I read every single comment. I’m in the process of answering all 300 personally because I think it’s important to do so. You are all so very generous with your time and kindness. The following lovely ladies were selected via random number generator: Christa Marie, Margery C, Sharon Mattingly and Michele K. Henderson. All winners have been notified via email as well. Welcome friends! Happy New Year! I’m so grateful to Latisha Yoast for organizing this fun hop every year for the last 6 years. I finally had the opportunity to come back (it’s been a few years for me) and share some goodness with you this year. I’m thrilled you’re here. I have a little artspiration, an announcement and a super fun giveaway of some of my products, favorite art supply AND some stampy goodness. So let’s get right into it, shall we? The complete list of blogs on the hop are listed below, so no worries! Enjoy! 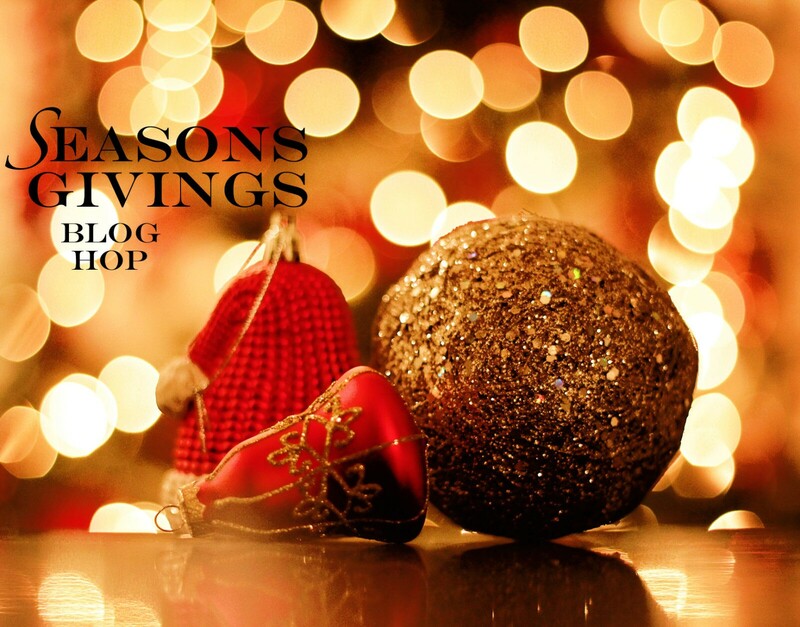 There are a lot of giveaways going on the blogs, so stop by and comment for a chance to win. I believe we all need a little light and positivity in our daily lives. Yes, wouldn’t you agree? And, I believe when we create something with our hands, share it and/or give it away, we are sending vibrations of goodness out into the world. SO GOOD! It’s why Indigojade Art was born and why I am sharing with you today. I hope to bring you joy and light on this first day of 2018! I paint everyday and share inspiration in my Instagram feed and blog. 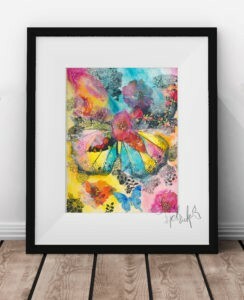 Some of my work ends up being created for products, art prints, etc. Some, end up in a bin (like the one pictured below) and I use them for other things. 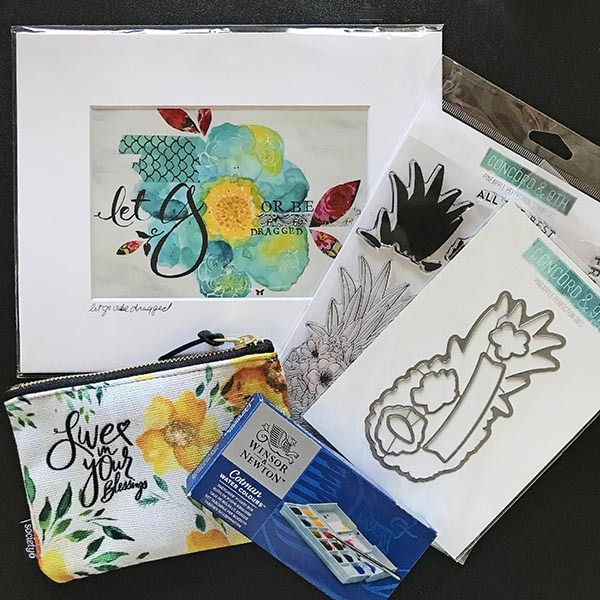 I thought it would be fun to share how I craft my joy using my original artwork, papercrafting supplies, dies, stamps, inks and all the artsy pants stuff to create some handmade goodness. 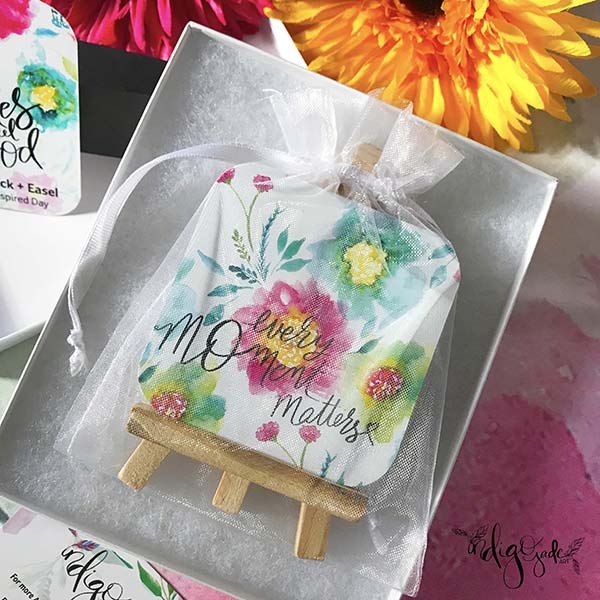 In this project, I created a series of tags for a hostess gift I gave on New Year’s Eve to a dear friend. She loves getting handmade gifts and original art from me, so I decided to do both! I paint everyday and often have a large stash in this bin of creations. 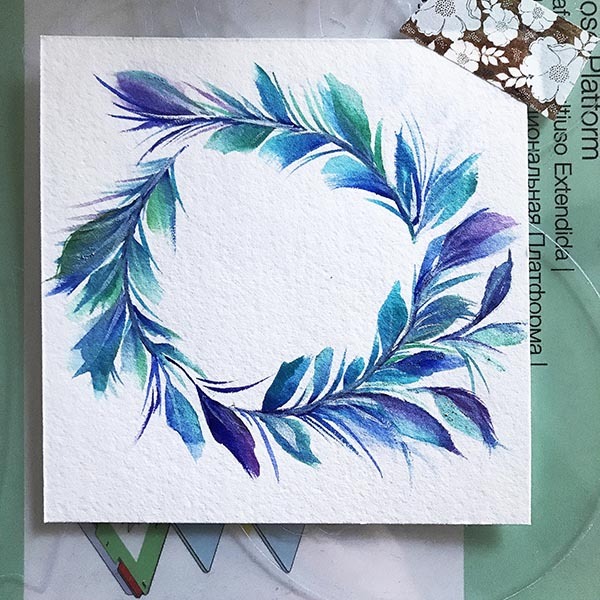 So I decided to grab this watercolor wreath. 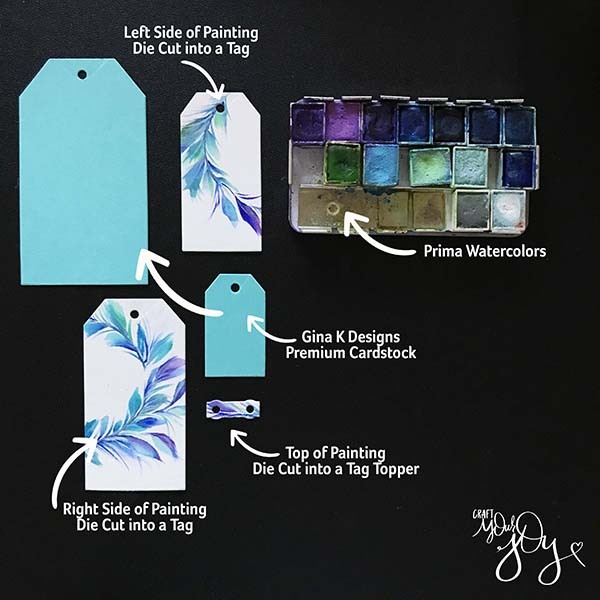 It’s perfect for a little tag making adventure! 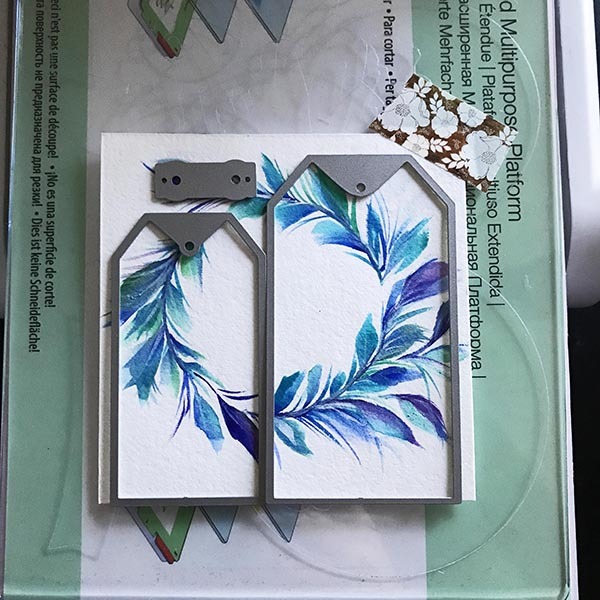 I placed tag dies by Hero Arts on top of the watercolor wreath and ran them through my Sizzix Big Shot. I cut a bit of Gina K Premium Cardstock as well. I love how the wreath looks on the tags. Of course, we need butterflies, right? 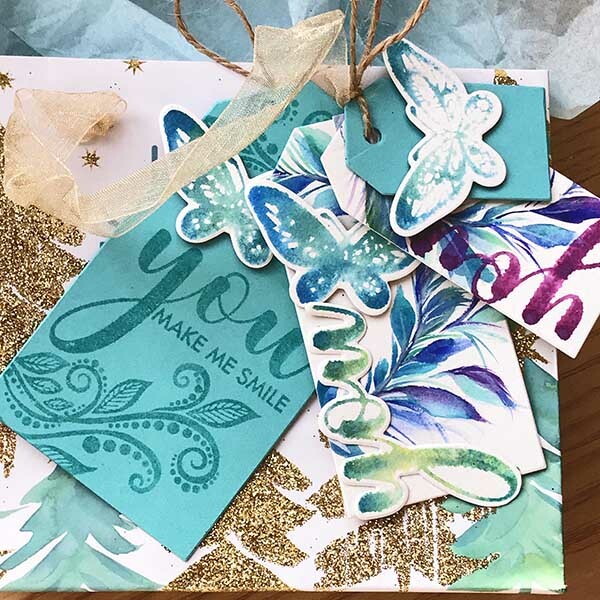 I inked up the butterfly from the Boho Flowers set from Gina K using two different distress oxide inks. A little spritz and BAM, color magic. 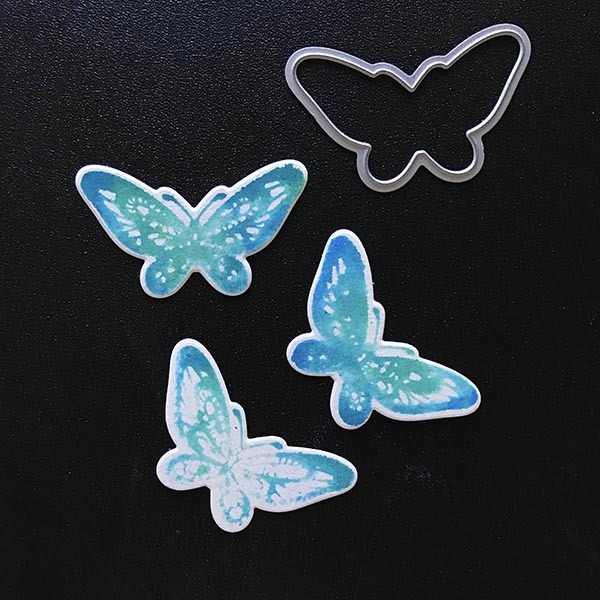 I love that Gina’s set have coordinating dies and the butterfly is perfection. I have a little thing for butterflies. A little more stamping from the Boho Flowers set. Layering and woo to the woot! A tag set for this New Year’s package was born. 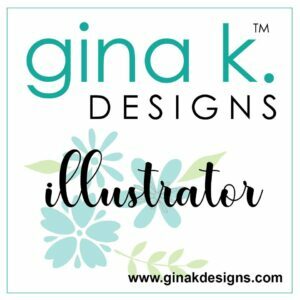 I’m super excited to share that I have joined the illustrator team for Gina K Designs. 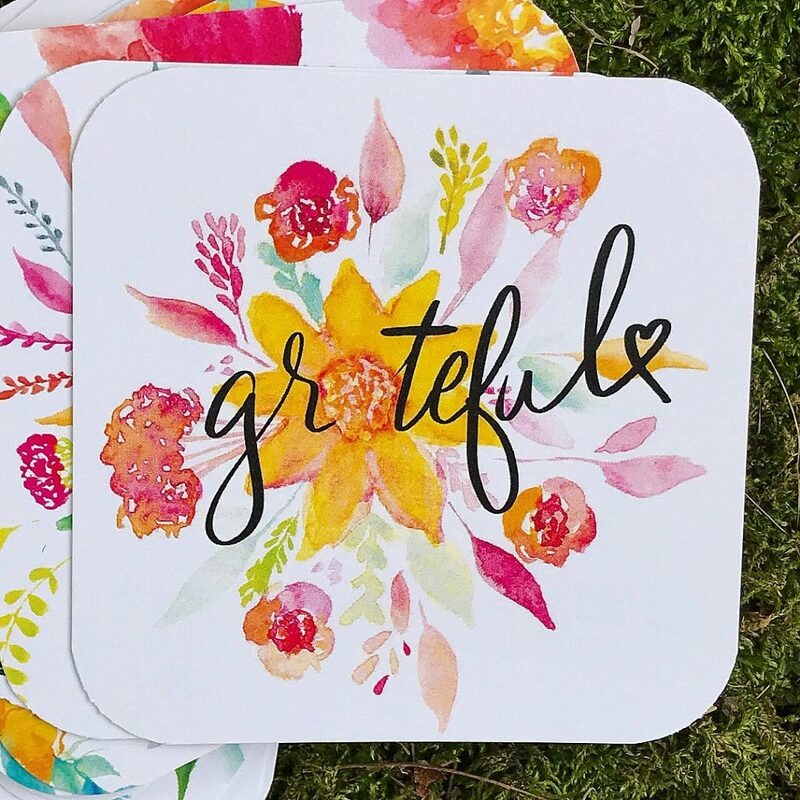 I am so grateful for the opportunity to be sharing my gifts with the stamping and papercrafting world again. It has been a few years since I have worked within the industry and I’m excited to be back helping people craft their joy! 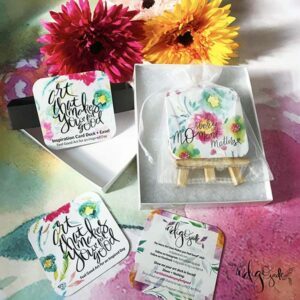 I admire Gina Krupsky a great deal and she is a beacon of light and positivity in the crafting world. My first release will be coming out this month! Stay tuned! I’m blooming with excitement! Thanks for stopping by and visiting with me today! I have this fun giveaway (pictured below) and will be randomly selecting a person from the blog comments on Thursday, January 4th in hopes of giving people enough time to hop. Shipping to US and/or Canadian friends only this time. Sorry international friends. Next time, I promise. There are so many of us sharing goodness in the hop. So grab a cup of your favorite, snuggle up and enjoy the inspiration and giveaways along the way. Want to create an inspiration practice in your day? The Inspiration Card Deck is now available. Developing this was a labor of love and healing. If you follow me on Instagram, or on Facebook, I’ve been sharing this almost daily. 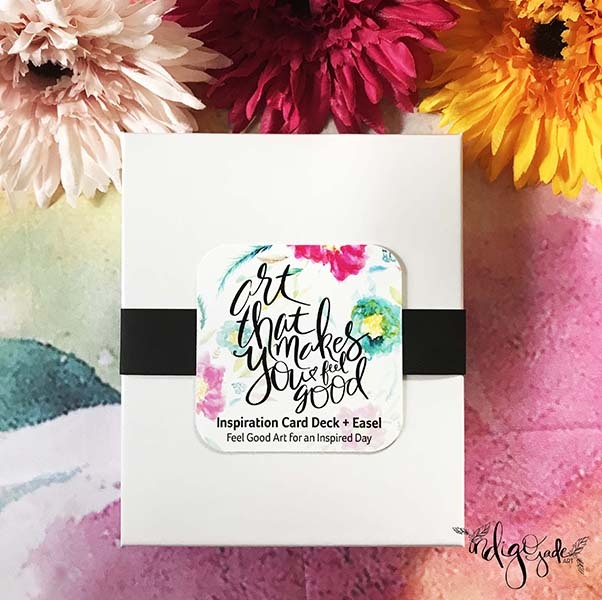 I created this card deck + easel gift to help you create an inspiration practice–a happiness ritual–that can bring more light and positivity to your day. 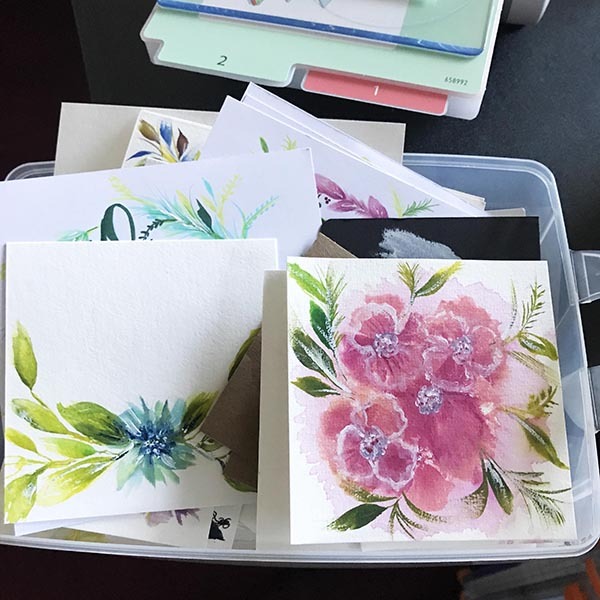 The card deck comes complete 28 of my original watercolor paintings (double-sided) paired with hand lettered sentiments to dial up the happy. It comes gift-boxed and ready to go for gift giving to a friend, family member, co-worker… or YOURSELF. Perfect for the holiday season or anytime! Wow!! I can't believe I won!! This is so amazing and I can't wait to receive your awesome gifts, especially your art work!!! LOVE your style and work and so happy to find your blog and instagram! Can't wait to see what you have in store for 2018 and your upcoming work with Gina K!! Thank you so much for the amazing giveaway opportunity and gifts, I feel like they were picked just for me, I love them all!!! Congrats lucky ladies!!! Lisa - I look forward to seeing more of your BEAUTIFUL creations in 2018!! !